Make sure your emergency oil burner switches are both on. There should be one at the top or your staircase and one on the heating system itself. These should both be enclosed in red switch boxes and labeled emergency oil burner switch. Make sure your breaker in your fuse box has not been tripped. Make sure you have oil or kerosene in your tank. This does help!! Make sure your thermostat is set at a temperature higher than the room temperature's currently at. Make sure your thermostat is set to heat mode and not cool mode. Check your batteries in your thermostat, these do need to be changed every once in a while. You can hit the reset button on the relay mounted to the burner. 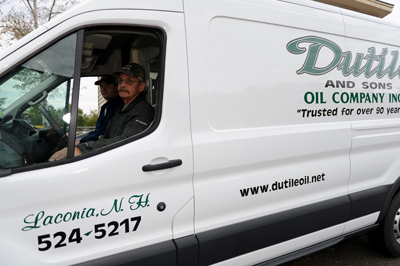 Just remember if you did have to hit the reset there is an issue and should be checked by a Dutile Oil service technician as soon as possible. If not fixed then you will have a greater problem down the road, or in the middle of a very cold night. Please DO NOT hit the reset button more than once if the system did not fire the first time! 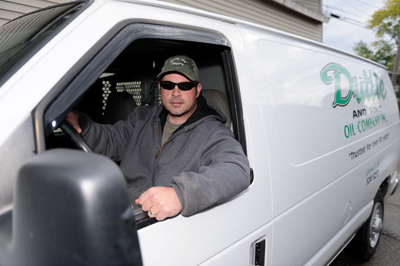 If you have checked all of the above and your system is still not running then you should definitely call us at 603-524-5217 and have one of our qualified service technicians come out and diagnose the problems and fix them.